It is Polish Pickup season again! 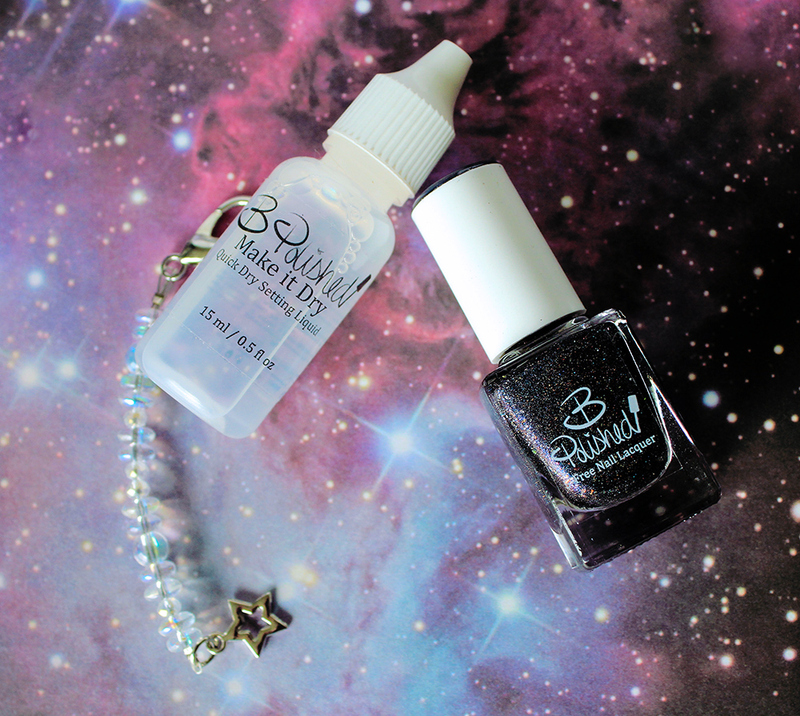 This time, B Polished has an inky bottle of chaos and majesty...but I might be biased because the theme is Space this month! This is a blackened jelly filled with multichrome flakes, indigo shimmer, and the occasional red spark. It is a delight. It applies deceptively opaque in two coats, and has just enough squish that it really does look like a nebula on my fingers. I really like the finish of this one. Sometimes with dark colors, you lose all the fun stuff...especially in photos. This one is just sheer enough that the blue shimmer gives your fingers a glow. The inspiration for this polish is Barnard 68, which is a molecular cloud in the constellation Ophiucus. 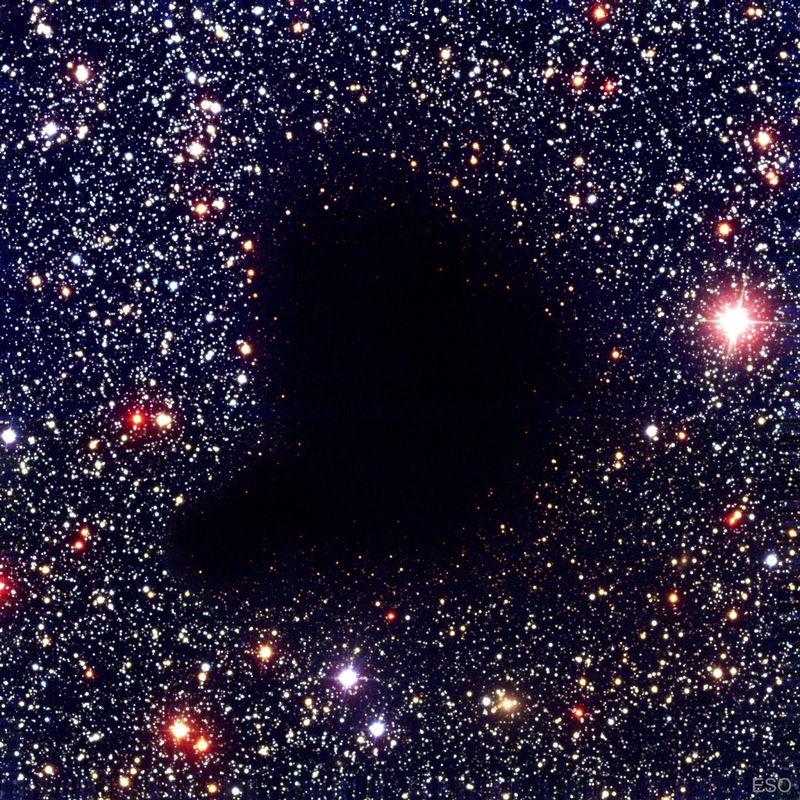 The coolest thing about this particular cloud is that in the next two or three hundred thousand years, this cloud might collapse and turn into a star. And look, I have a live swatch! It's worth seeing! 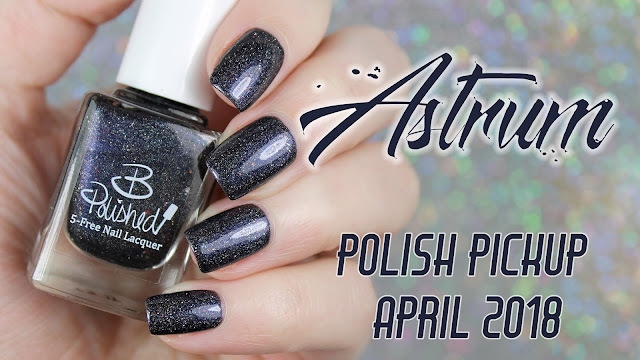 The Polish Pickup will be available on April 6th at 11am eastern. What is on your wishlist? That is Gorgeous! It looks like a galaxy. I wasn't sure if I would buy this month but you just changed my mind. Beautiful polish. 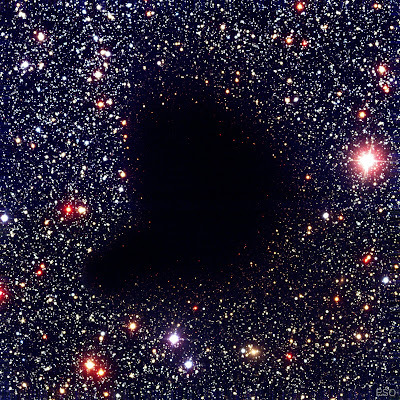 This is stunning--like a midnight sky full of stars! Looks exactly like the inspiration photo! This is stunning! Beautiful swatch. wow, wish I could be around to watch that star form. But the polish will do for now. Very pretty. Galaxy in a Bottle! This is a beauty! This polish matches the inspiration perfectly, it looks like a little galaxy on your nails. This would make a great base for some planets/satellites stamped over. What a pretty, vampy shade! Wow, this is a gorgeous polish! That polish looks like it leaped out of the inspiration picture! This is gorgeous! I love the little red sparks. Wow!!! This is so pretty!! They captured the photo perfectly!!! !